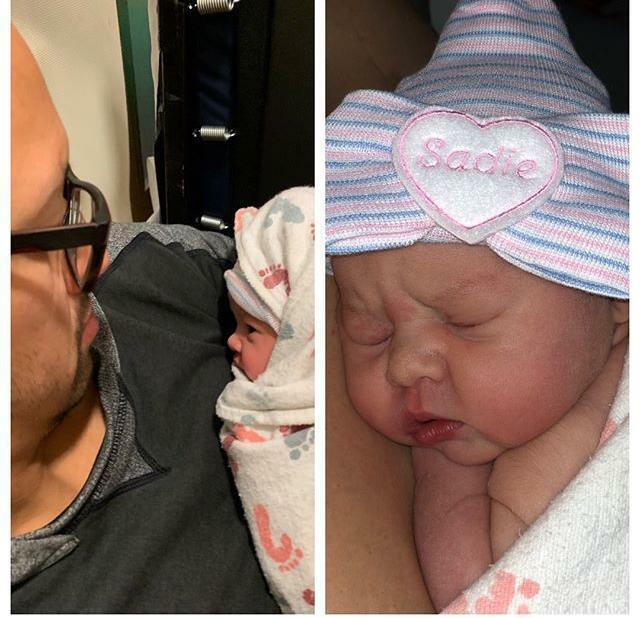 Congratulations to long time Sweat Shop members Megan and CJ, who recently welcomed their first child, Sadie, into this world on January 4th. She weighed in at 7lbs. 2 oz. and measured 18.25 inches long. If you thought CJ looked like he was sleeping walking in the gym before, wait until you see him now! The true test will be to see if Megan still has her super bubbly, outgoing personality when she returns to the gym soon. 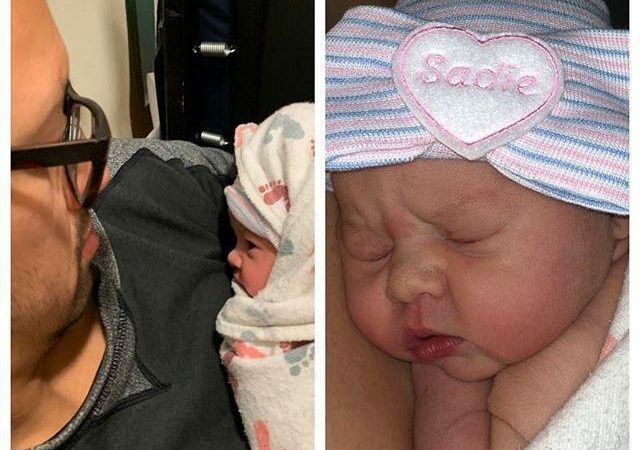 Congratulations Megan and CJ, looking forward to meeting Sadie and welcoming her to the clan of Sweat Shop kids! Beautiful baby! Congrats to you both!! !